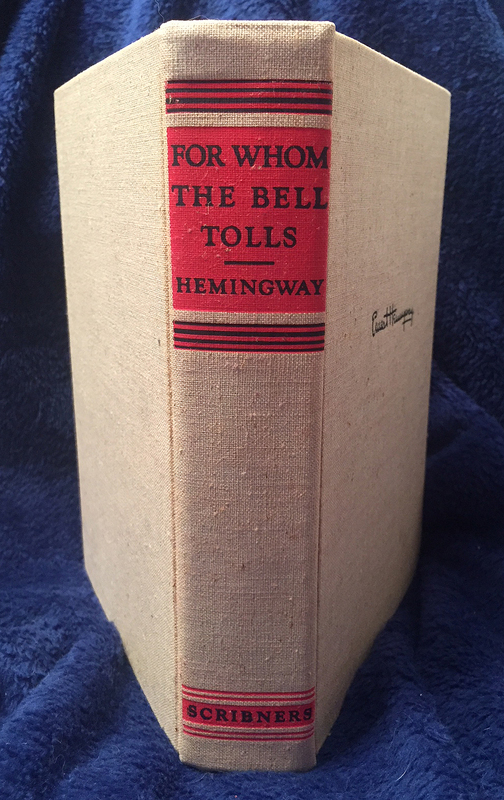 FOR WHOM THE BELL TOLLS, first edition, first printing, in first printing dust jacket, 1940, Scribners, New York. 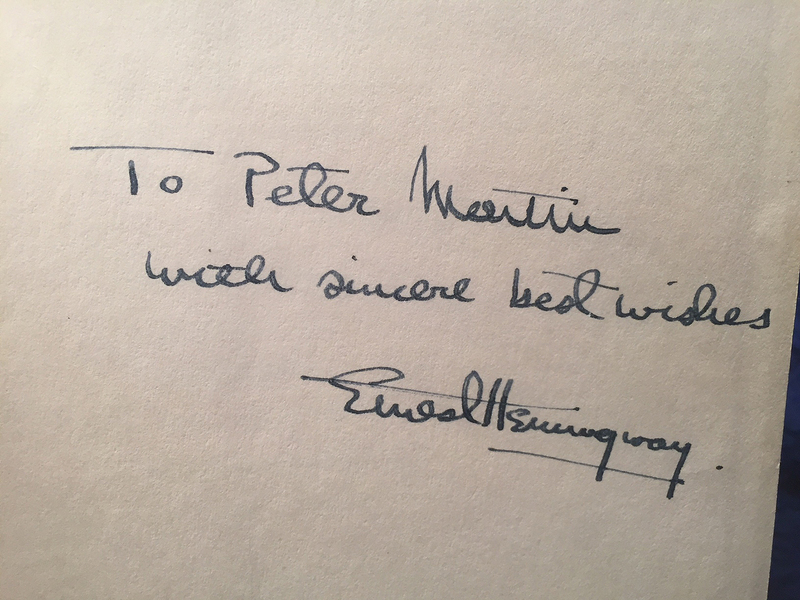 What makes this first edition exceptional is that it was inscribed by Ernest Hemingway to fellow author, Peter Martin. 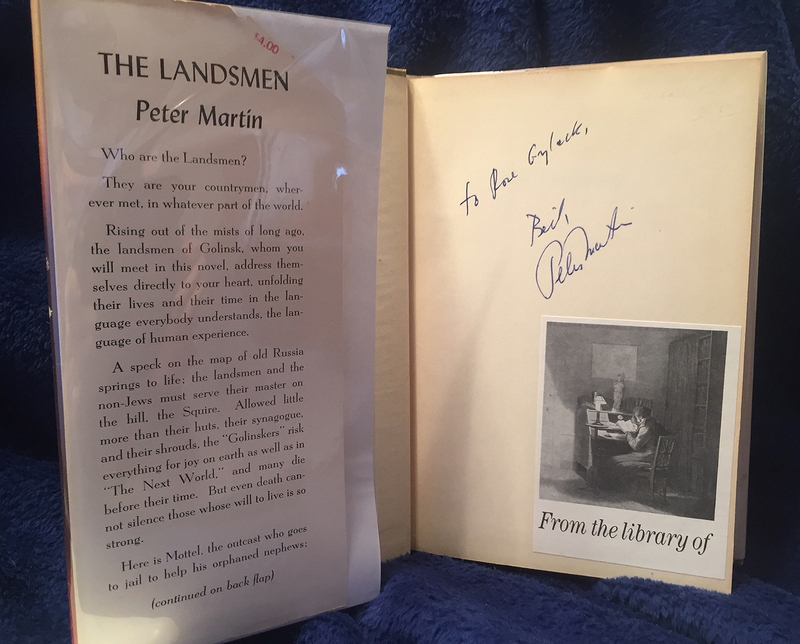 Peter Martin was the author of two novels: THE LANDSMEN and THE BUILDING. 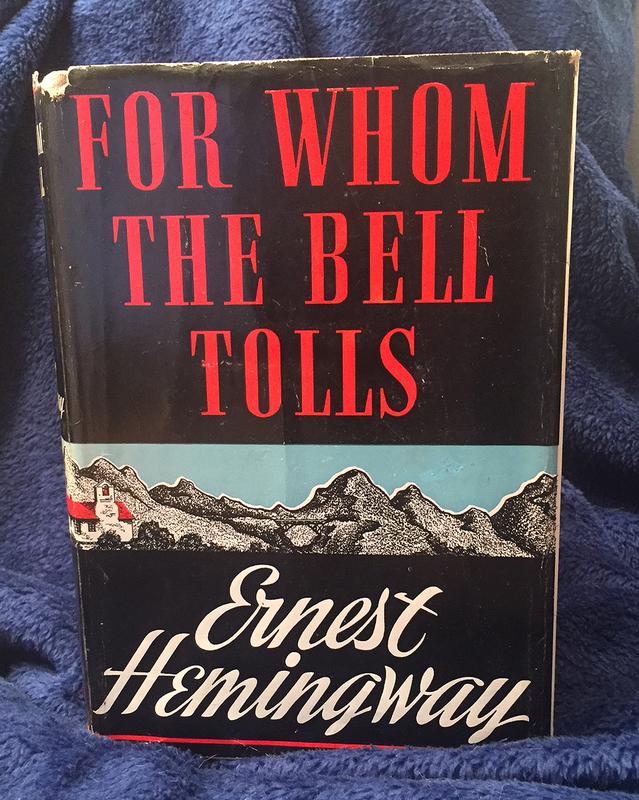 Book is in near fine to fine condition; bright print on spine; cloth covers clean and bright; interior pages bright and clean; gutters show no discoloration (as is usual with this book). 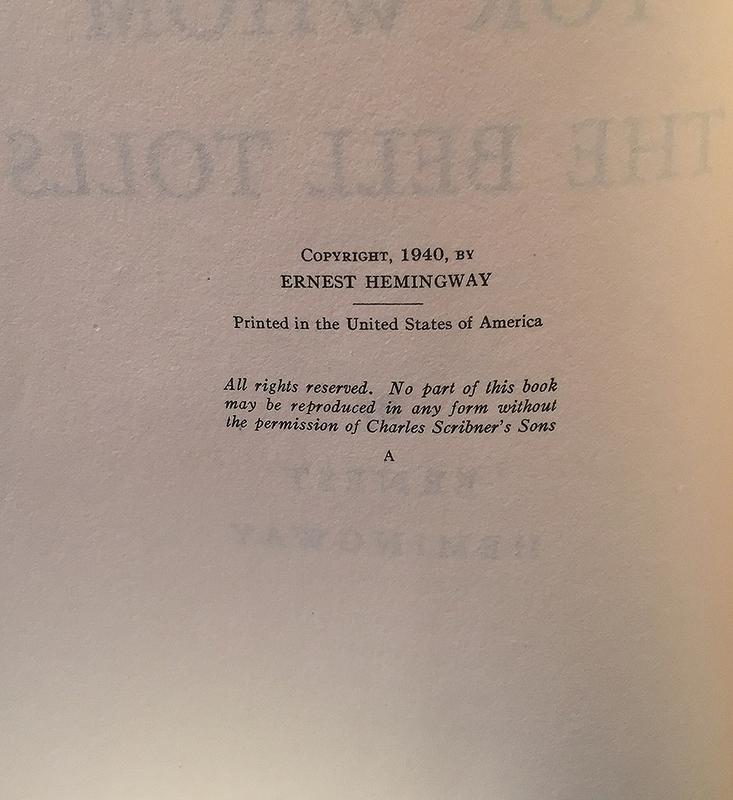 First edition, first printing with an "A" printed under disclaimer on copyright page. 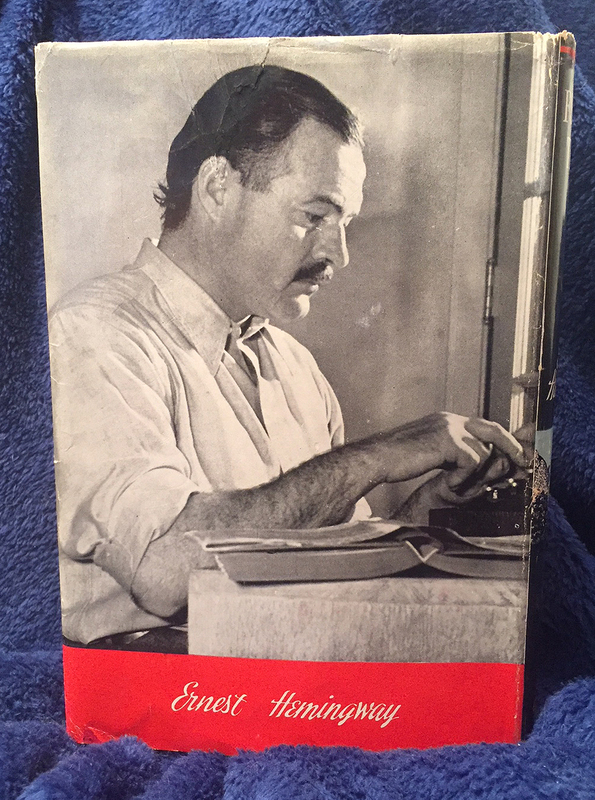 Dust jacket is first edition, first printing, with key point that the photographer's credit for Hemingway's photo on the back panel is missing. 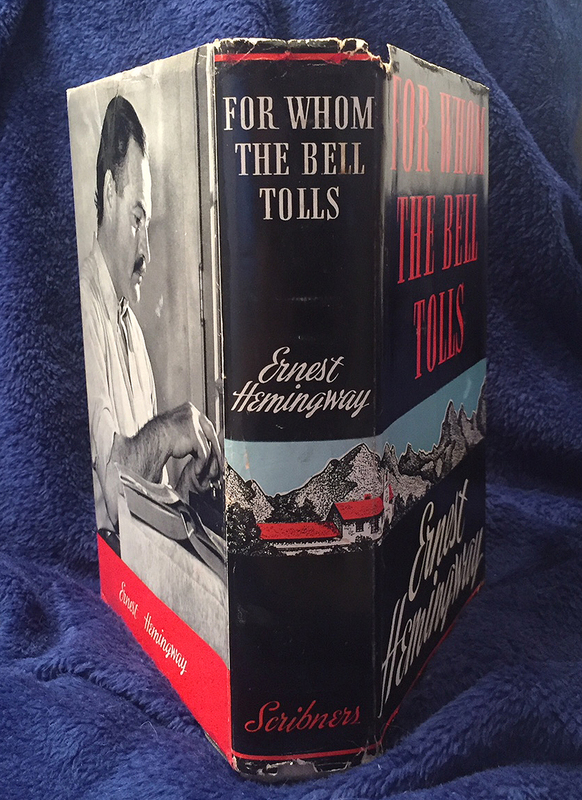 Original dust jacket condition: very good plus; some light wear and chipping to very edges of head and toe of spine; a bit of a wrinkle and light discoloration to lower left-hand corner of back panel; a conserved short, closed-ended tear to upper part of back panel, about one inch in length (repair on inside of jacket; upper left-hand corner of front panel missing a tiny bit; little or no sunning to spine of dust jacket. 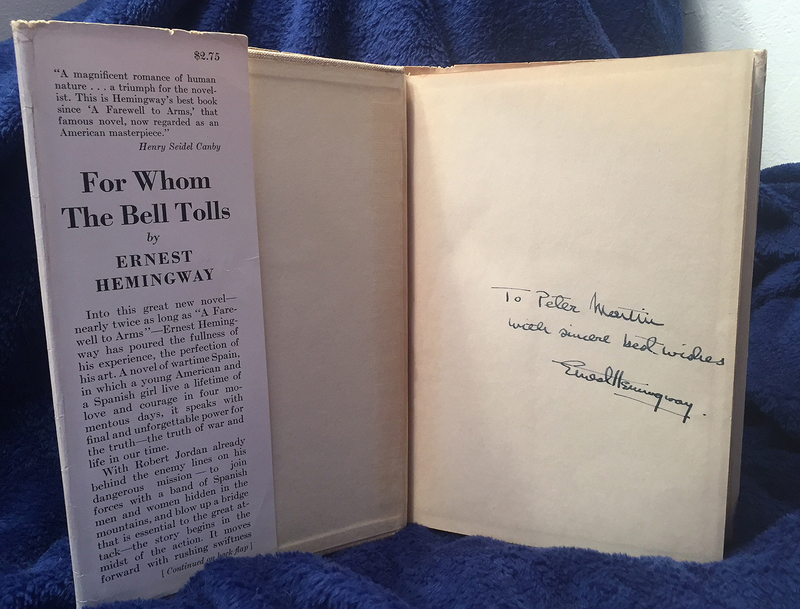 Original price ($2.75) still on front flap of jacket. 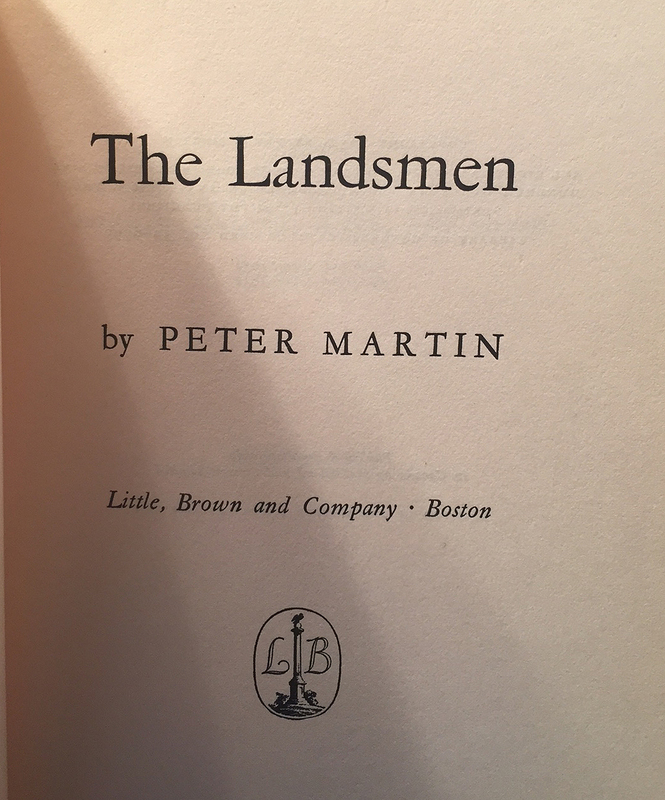 First edition, second printing, August 1952. In second printing dust jacket. 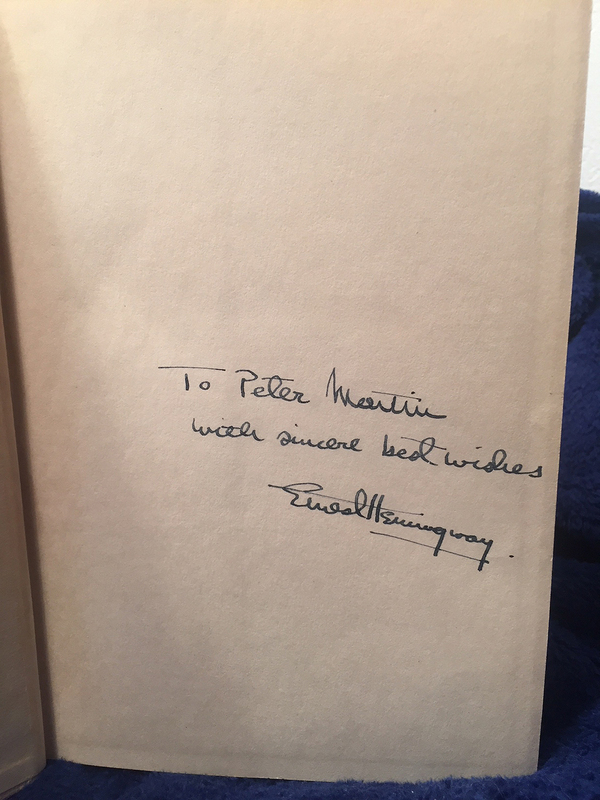 Book is in near fine condition, Original dust jacket is in very good condition with chipping to head and toe of spine; also, price-clipped. 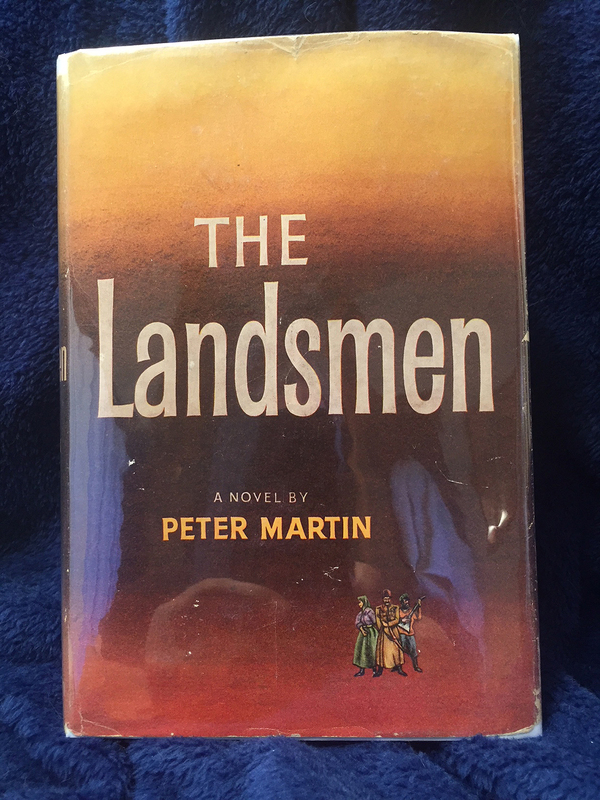 Intriguingly, J. D. Salinger considered Peter Martin's THE LANDSMEN one of his favorite books. 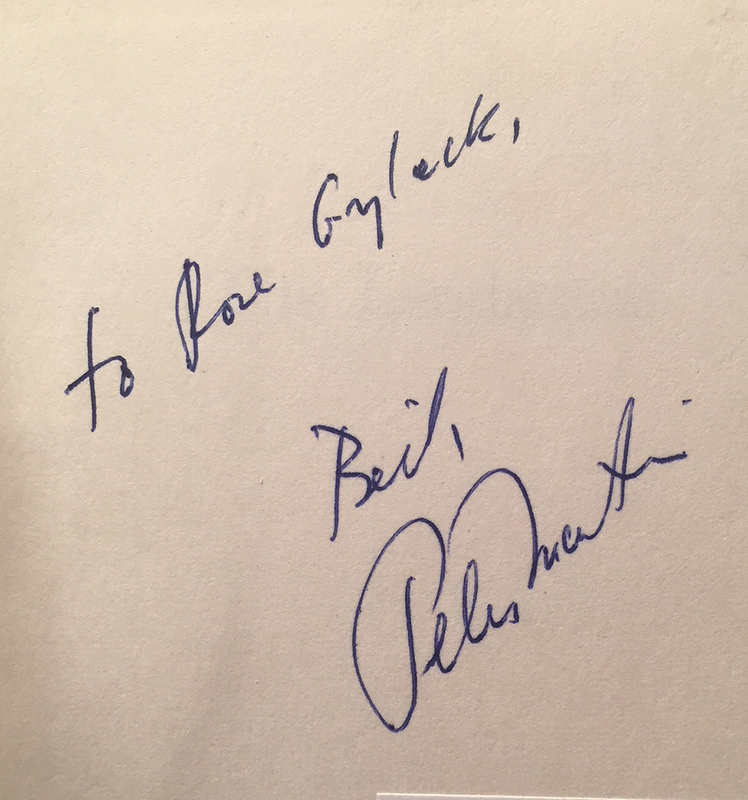 Also, long-listed for a Pulitzer prize; however, Martin did not win.